Whether you're moving down the street or across the country, our residential movers will ensure a smooth relocation. A rich history, interesting architecture, stunning views, and mild weather are some of the many reasons Fremont is a wonderful place to call home. If you’re planning a move from this vibrant city, Upline Moving can ensure you’ll enjoy a hassle-free relocation. Some think it’s a great idea to do a DIY local move. That lofty thinking often turns to regret upon realizing that moving is a LOT of work. That’s why smart Bay Area residents let us do the heavy lifting. 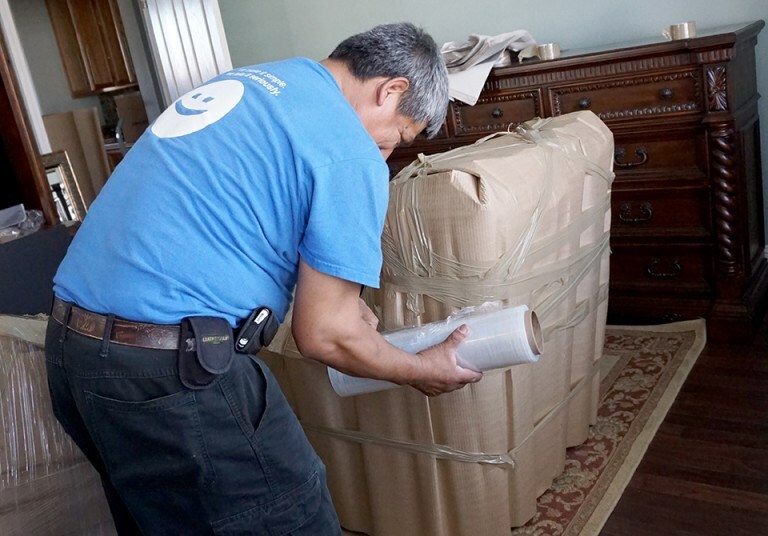 Our residential movers will take care of packing, crating, hauling, and more. If you’d like to do some of the packing yourself, that’s no problem! Just ask about our custom moving packages, and we’ll put together a plan that perfectly meets your needs. It’s easy for a long distance move to get off schedule. When that happens, it can lead a domino effect that makes it hard to get the move back on track. Our team is used to dealing with complicated relocations. Perhaps your new home won’t be ready right away or maybe you’re making a stop somewhere for a few months before continuing to your final destination. Whatever the situation, we can work out a plan to keep things running smoothly. 30 days of free storage (can be extended for long-distance moves). Our residential movers complete more than 81,000 miles of moves each year, and we’re great at what we do! If you don’t have much time to plan your move, hand the job over to our experienced team. This might seem like an overwhelming amount of work to get done in a short time, but we’ve done it hundreds of times, so you can count on us to make sure your last-minute long-distance move goes smoothly. Upline Moving has many ways to ensure you’ll enjoy a hassle-free local or long distance move—and they all start with a free, no-obligation moving quote. Call our Bay Area movers today to learn more, or fill out our online form now to schedule an appointment for your in-home estimate.